Who Is Reel Action Ice Fishing Guide Service? choose Reel Action Ice Fishing Guide Service! Reel Action Charters Inc. is the largest, most reputable, fishing charter and ice fishing guide service in the Green Bay and Sturgeon Bay area of Door County Wisconsin. Owner/operator Captain Scott Gutschow founded this business in 1994 and it grew quickly based on a solid foundation of return customers. 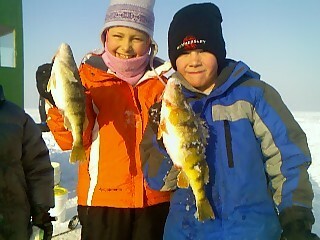 See for yourself why so many ice fishing clients come back every year. Captain/Owner Scott Gutschow has ben a professional Captain and Guide on Green Bay and Lake Michigan for the past 16 years. 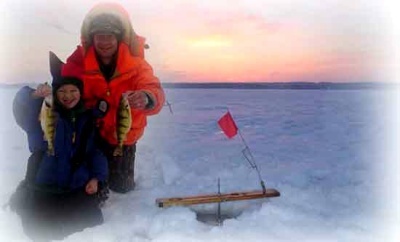 His knowledge of this legendary destination will ensure a safe and successful ice fishing adventure. Reel Action is a business, not a hobby! Which is why they provide 1st class ice fishing equipment and accomodations. From Frabill portable shacks to Polaris Rangers. 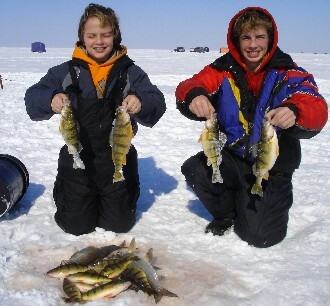 You won't find another ice fishing operation that can put you on some of the best perch, walleye and pike fishing that Green Bay and Sturgeon Bay has to offer. 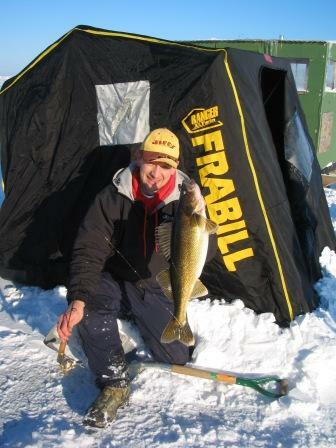 Reel Action will cater to the type of ice fishing trip that you want! If you're serious and want to chase the big ones, nobody does it better! If you want to bring the family, have fun, and catch some big fish, we love to do that, too. If you're looking for a unique corporate outing, for up to 30 or 40 people, call Reel Action! Reel Action's summer-time sponsors include Lund, Mercury, Lowrance, and more..... see our sponsors link page for more information. What are you waiting for? 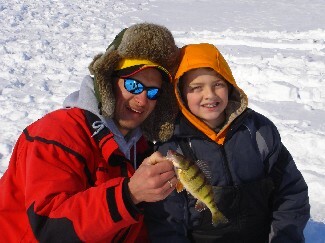 Book an ice fishing trip today! Ask about our corporate outings! our largest is an 85 person outing every year! and walleye on Lake Michigan and Sturgeon Bay near Green Bay Wisconsin.